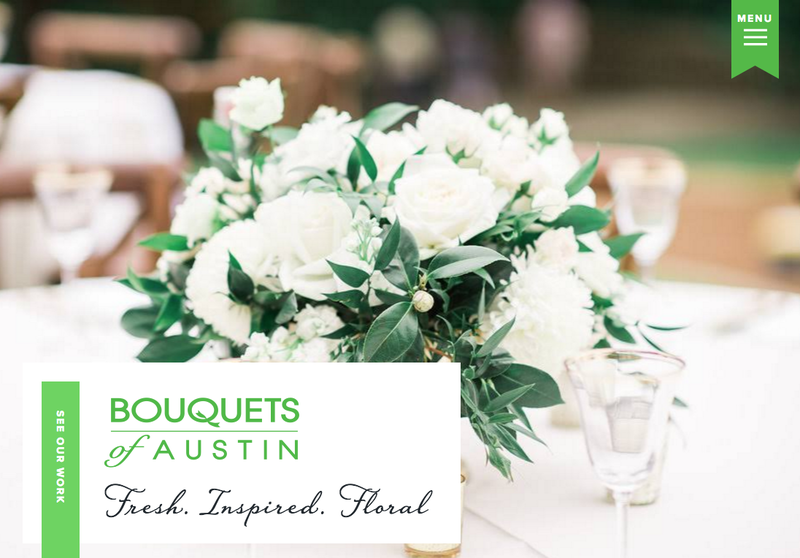 We were so flattered to be selected to work on one of Austin’s most well respected floral designer, Bouquets of Austin, new digital home. 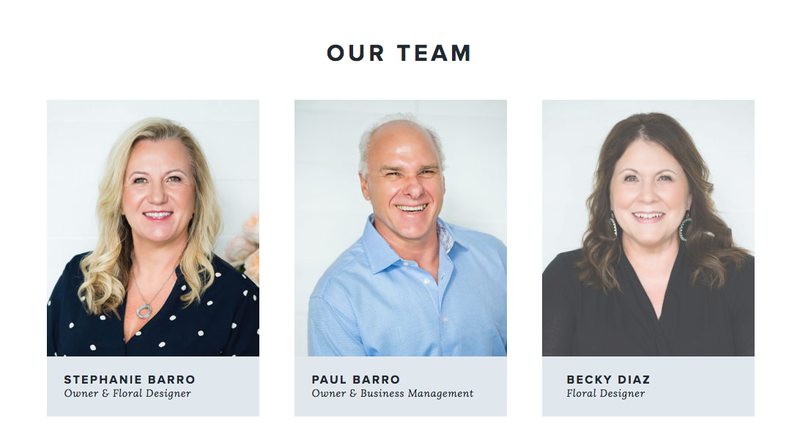 BOA was looking for a modern representation of their brand and a beautiful website to house their extensive portfolio. 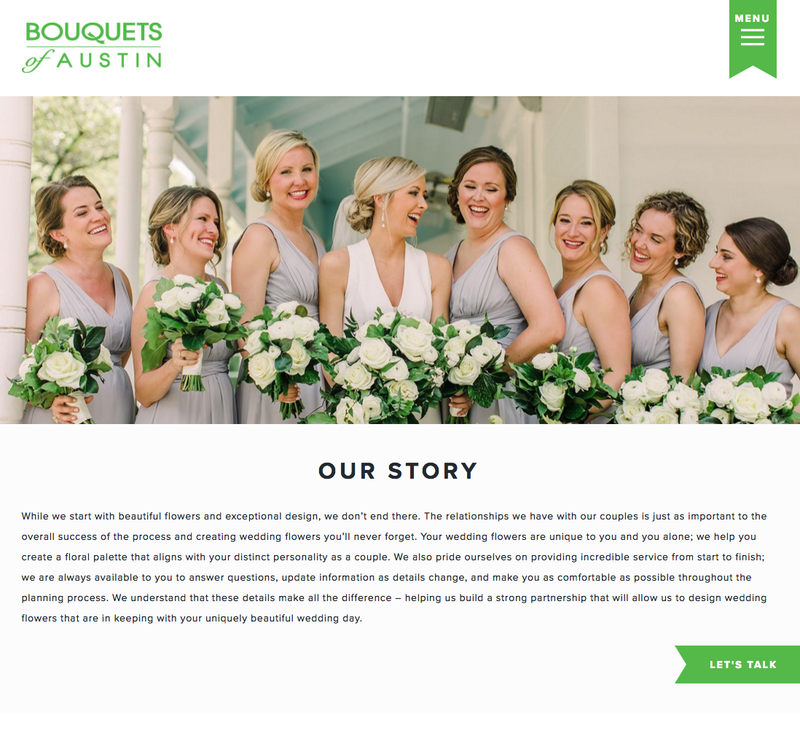 One of the biggest challenges that we face everyday in the web world is ensuring we have beautiful photography to compliment our designs, luckily – at first glance we knew this wouldn’t be a problem. 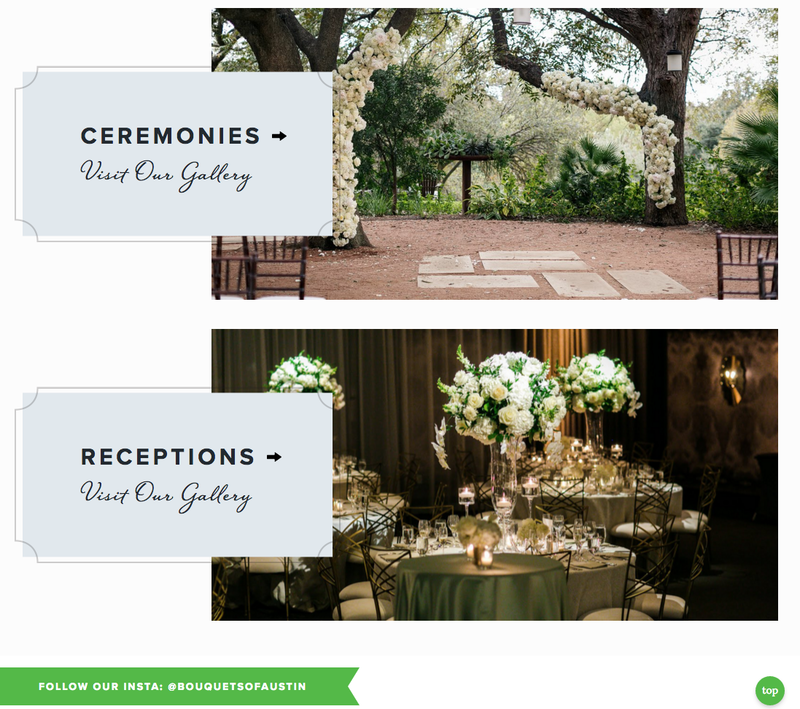 BOA’s award-winning designers have worked consistently at nearly every wedding venue across the Hill Country and, as a result, have not only become uniquely familiar with the details of their layouts, but are been able to create wonderful working relationships with each venue, allowing them to provide the most excellent service to couples on their wedding day. 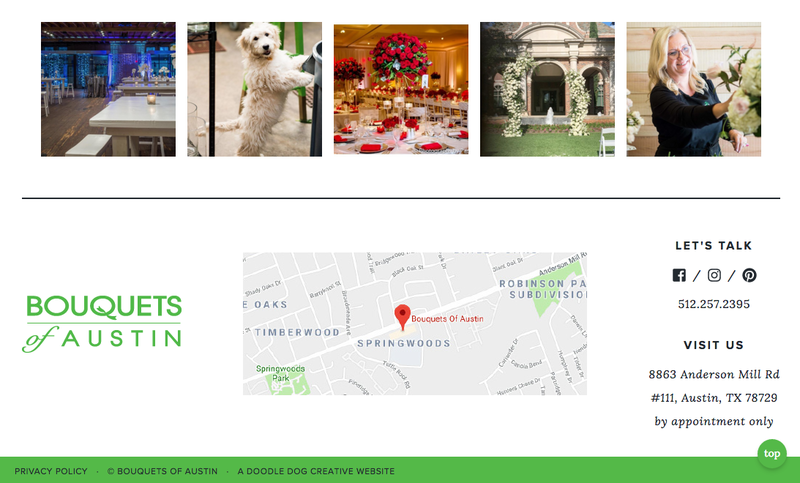 We created a modern custom website design, with bright white, vibrant green and black. 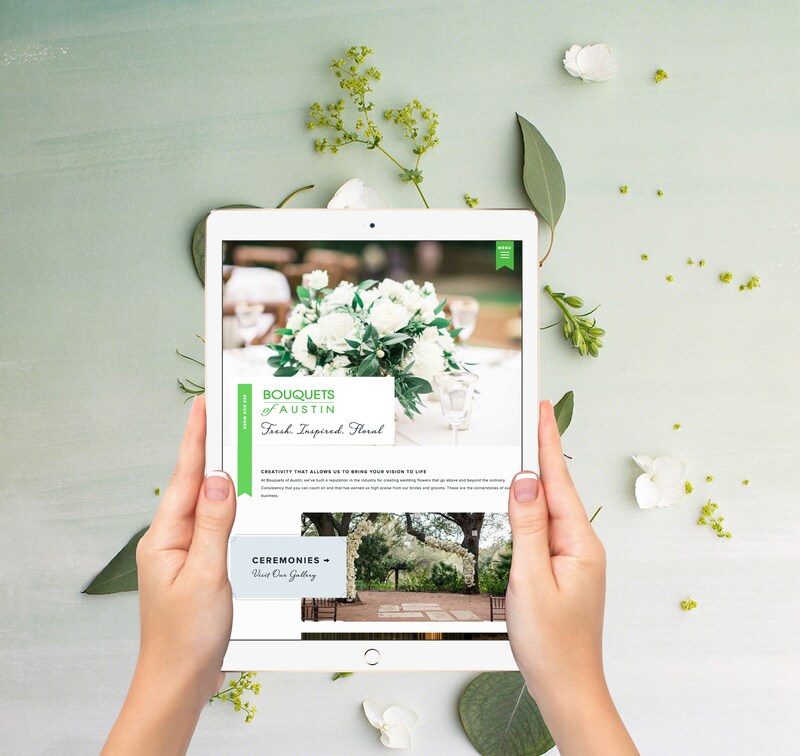 After working with hundreds of wedding professionals, we understand that the best florist website design comes with an easy to navigate path for the user to find what they’re looking for, and of course plenty of space for beautiful photos. 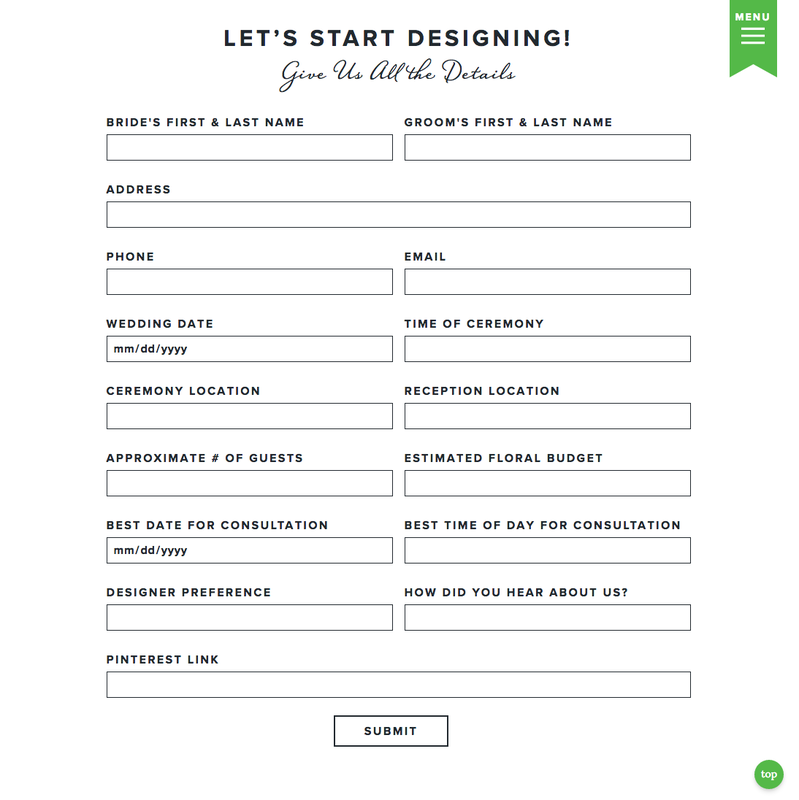 Take a look at the design and let us know what you think. 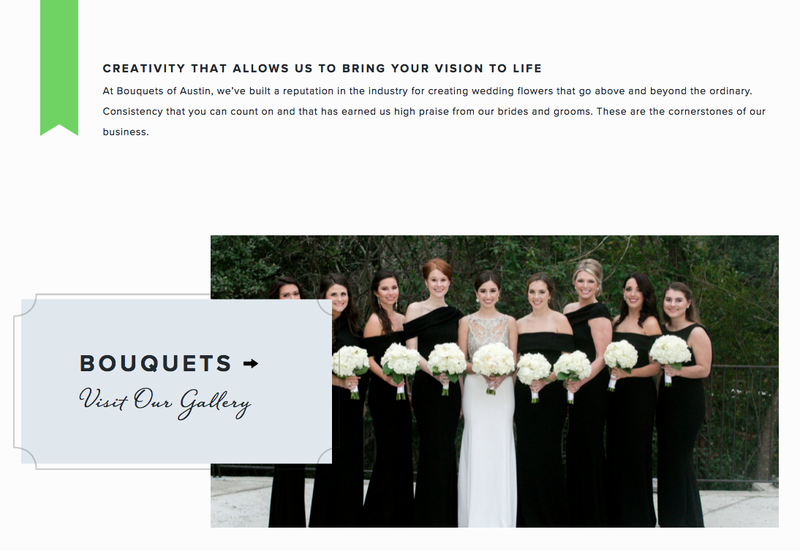 Interested in seeing past florist website designs and brand designs we’ve worked on? 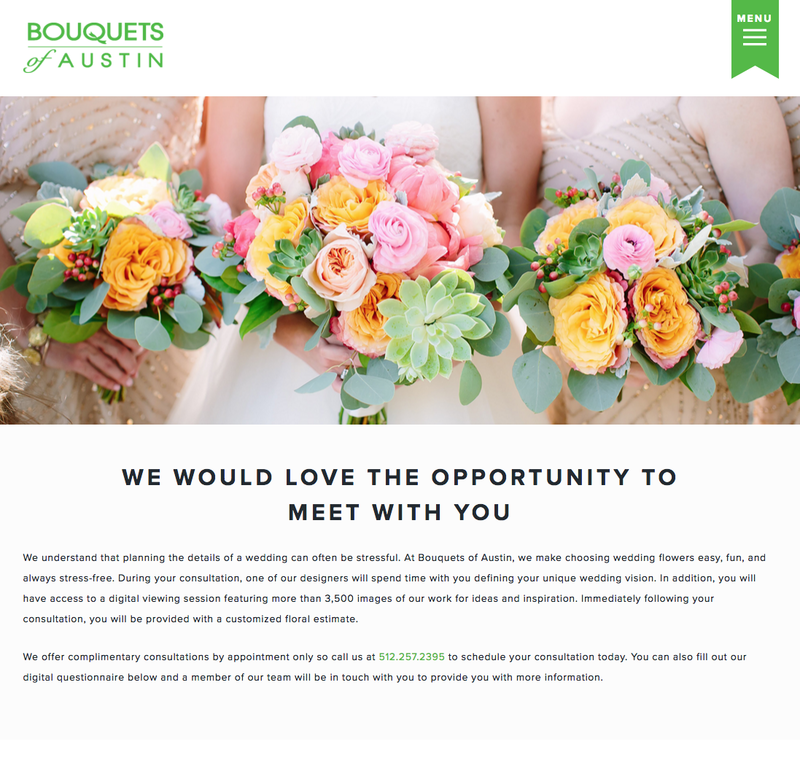 Take a look here, or stop by and visit the newly launched website for Bouquets of Austin.